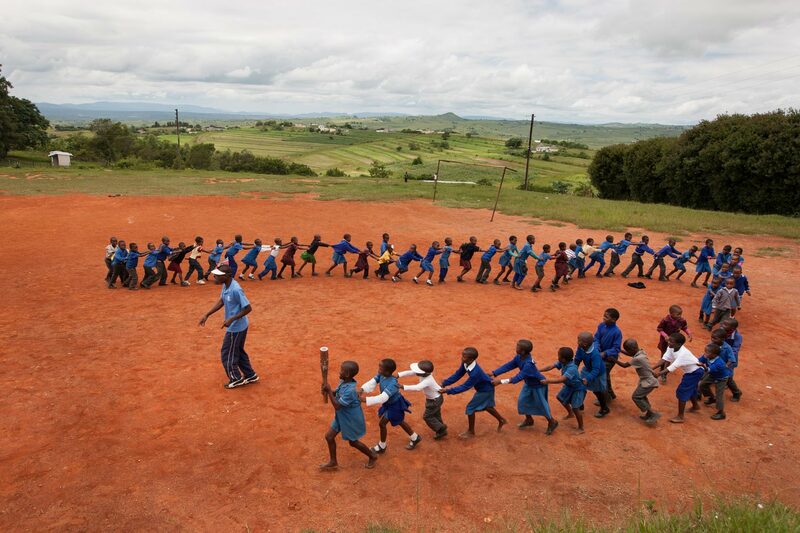 The Queen's Baton was carried in a conga-like relay by the schoolchildren of the Ngwazini community, in Swaziland, on Friday 7 February 2014. Swaziland is nation 37 of 70 Commonwealth nations and territories to be visited by the Queen's Baton. Photograph by Jeremy Sutton-Hibbert, copyright © Glasgow 2014 Ltd, 2014.